Getting more than one bargained for is always a nice surprise. 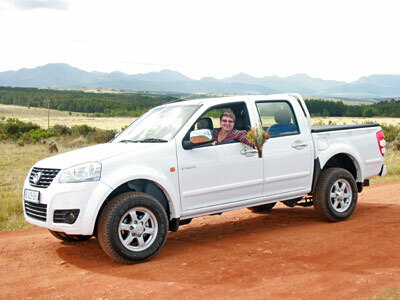 Driving the latest Steed bakkies from GWM is just such a little treat in life. They are very good. 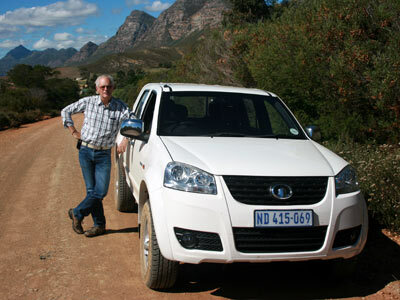 I drove the Steed 2.0 turbo-diesel double cab down to Gondwana Game Reserve (http://www.gondwanagr.co.za/) using the N2 and coming back on the gravel road ( Route 327) over Van Wyksdorp. A good test of high speed highway and various types of gravel road. The bakkie I drove had 10 000km on the clock. There was not a squeak or rattle to be heard. The Steed 5 seems to be a very well built bakkie on the lines of the previous (outgoing) Isuzu design platform, but with a better engine and gearbox. Ride height is 198cm, which is fine for normal uses. Tyres are 235/70 R16, which make for a comfortable ride and a purposeful look. Fit and finish appears to be good. The Steed comes with ABS, EBD, two airbags and fog lamps. The cabin does not try to be car like. It is a comfortable well laid out bakkie. The aircon works very well and like all the other controls is simple to use. Radio/CD player is a standard unit. The on/off switch is a bit finicky. The seats are comfortable, also over longer distances. The driving position works well. They are not height adjustable. The interior is completely dust free. I drove over 300km on gravel roads without a speck of dust. The Steed looks exactly like the outgoing Isuzu KB from the middle of the bonnet backwards. The nose is unique and I think looks like the nose of a modern bakkie should look. It is a neat design and looks up to date. The Steed behaves superbly on gravel roads. It is much better than the HiLux or the previous KB. On tar it is a pleasure to drive. The sixth gear is a long overdrive only suitable for level cruising, but in fifth she climbs hills without effort. Fifth can also be used for overtaking. The steering is a pleasure. It is light at low speeds and stiffens with increased speed. Very good. I found the brakes effective and well modulated. The suspension has been really well sorted for both on-road use and gravel travel. The 2.0 litre turbodiesel produces 110kW@4000rpm and 310Nm @ 1800 – 2800. Expect fuel consumption of around 10litre per 100 km. Very smooth gearbox coupled to a very willing engine. Fantastic value for money. Feels and looks like a real bakkie, which it is. There is a small digital clock in the radio display when the radio is off. Otherwise no clock. The 4 cup holders are all can size, so water bottles do not fit properly. I would have liked a cruise control. The doors lock automatically 15 seconds after being closed. This can be very bad if your keys are in the car. Some people will like this feature. I worry that I will lock myself out. 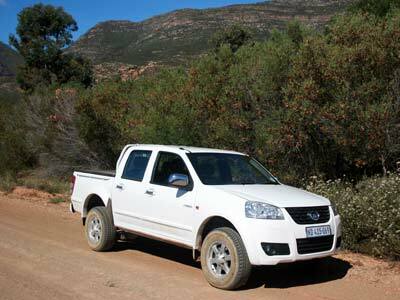 This is the first Chinese bakkie which you have to consider when you are in the market for a bakkie . It is a very very good value proposition. I liked it. The Steed does not try to be anything other than a fine one ton light truck. Build quality seems to be good. The Steed 5 Double Cab 2.0 VGT 4×2 costs R239 900. Its 4×4 sibling R264 900. Prices which are almost impossible to beat. There is a 3 year / 100 000km warranty. There is no competition at the price. 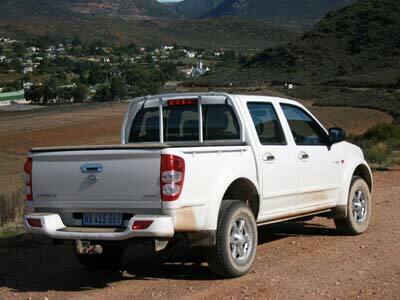 The nearest competitors are the Foton Tunland at R279 950 and Nissan NP300 at R338 400. 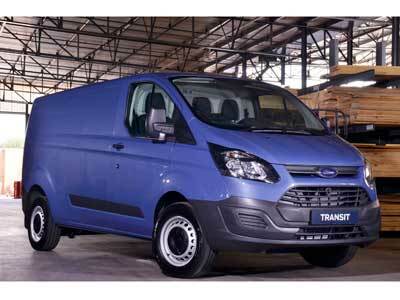 The Transit Custom is available in a choice of short wheelbase (SWB – overall length 4.97 metres) and long wheelbase (LWB – overall length 5.34 metres) versions. To provide customers with a wide range of payload options from 600-1,400kg, Transit Custom is available with multiple GVM options. The 2.2-litre Duratorq TDCi engine is offered in three variations. The 74kW model offers 310Nm of torque from just 1 300rpm, the 92kW version offers 350Nm at 1450rpm while the high-powered 114kW version offers 385Nm at 1 600rpm. The three units deliver differing fuel consumptions figures but all come in at under 7.3l/100km on a combined cycle run* while emitting less than 192g/km CO2.. 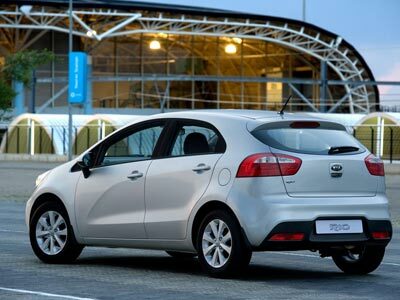 The high-powered 114kW is the most frugal using just 6.6l/100km and emitting only 174g/km CO2. The eight-seater Tourneo Custom is available in a 2933 mm short wheelbase version (SWB – 4.97 metres overall length), and a 3300 mm long wheelbase (LWB – 5.34 metres overall length). At a height of less than two metres, the Tourneo Custom also comfortably complies with most car park height limits. This advantage is retained when the vehicle is fitted with the innovative deployable integrated roof rack system, which is seamlessly integrated into the roof and can easily be raised or lowered when required. Tourneo Custom models offer twin side sliding doors as standard, with running boards below the doors for improved low level step access, as well as a strong visual differentiation. A liftgate is fitted as standard at the rear. 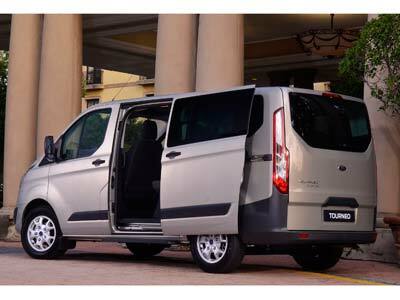 The Tourneo Custom is powered by Ford’s latest 2.2-litre Duratorq TDCi diesel engine. The Tourneo Custom is available in two power ratings: 74kW on Ambiente derivatives and 92kW on Trend derivatives. Both are mated to a six-speed manual transmission delivering fuel consumption figures of 6.5 l/100 km on a combined cycle and 172 g/km CO2 emissions. The Tourneo Custom has been engineered to deliver outstanding functionality, durability and low cost of ownership. The Tourneo Custom comes with a 4-year / 120 000km comprehensive warranty. Service intervals are every 15 000km with a Service Plan covering 5 years or 90 000km and 3 year /unlimited km Roadside Assistance. 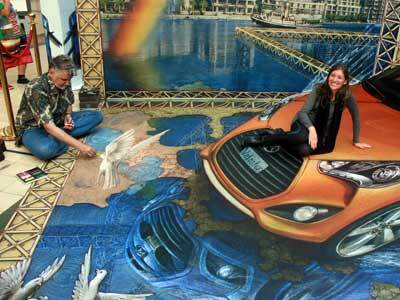 Hyundai brought the famous 3D pavement artist,Kurt Wenner, to SA to launch the Veloster. 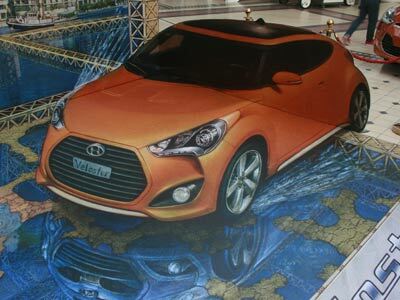 The Veloster has joined the local model line-up of Hyundai – bringing a mixture of fun, innovation and attractive, sporty styling to the Korean carmaker’s range in South Africa. 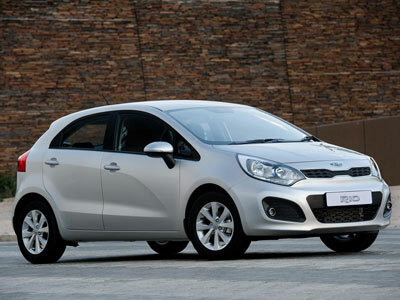 Packed with features and with interestingl looks it represents a motoring package that offers great value. With a new 1,6-litre direct-injected four-cylinder petrol engine mated to Hyundai’s first EcoShift™ dual-clutch transmission – brings to a younger customer group a “2+1 door” coupé design with the functionality of a hatchback and a passenger-side forward-hinged rear door for easy rear-seat access. The Veloster with its perky 1.6-litre GDI Gamma engine adds even more variety to Hyundai’s comprehensive range of models. 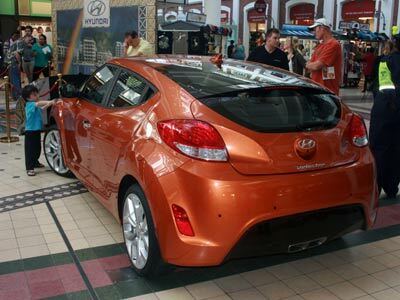 The 4,22 m sports-coupé Veloster is destined to give young, progressive buyers a sleek and distinctive design in an innovative three-door coupé form that provides practicality as well as driving pleasure. The new KB is here at last. The new KB is 260mm longer – that’s more than 5% – than the previous model. It’s also 60mm wider (up 3%) and 60mm taller (up 3,5%). This translates into an increase in interior space as well as a more space efficient load box. That’s good. The top specification Isuzu KB LX models are available with a 5-speed electronically controlled automatic transmission mated to the 3,0 litre D-TEQ diesel engine. Features include driver operated sequential shift as an alternative to full automatic shift and a torque converter lock-up clutch. That’s better. The new Isuzu KB chassis is both longer and wider than the previous generation model in overall dimensions and has a longer wheelbase, up by 45mm on the previous model. Track on both the 4X2 and 4X4 models in increased by 50mm. Both of these increased dimensions improve ride and handling, overall vehicle stability and comfort. That’s better. 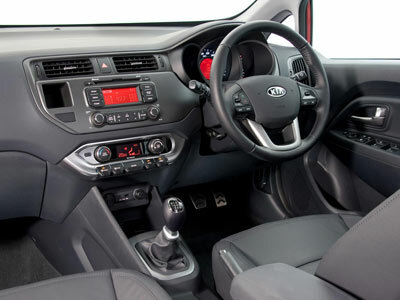 The driver is able to select from a number of 4X4 driving modes using the Terrain Command Dial. The 2 wheel drive to 4 wheel drive high ratio change can be implemented on the fly at speeds of up to 100km/h. The vehicle, as with all 4X4 vehicles, must be stopped to change to the extreme condition 4L (low-range) mode. This selection is also initiated via the Terrain Command Dial. All LE and LX models, as well as the 4X4 Fleetside models, have a driver activated differential lock as standard equipment, operated by an easily accessed push-button switch. That’s better. The engine range starts with the 2,4 litre petrol 16V DOHC engine available on the Base, Fleetside, and LE models. This multi point fuel injected engine produces maximum power of 112 kW with 233 Nm of torque. Fuel consumption for the combined cycle has been measured at 10,4 l/100km with CO2 emissions of 245 gm/km (4X2 models). Next up in the engine range is the 2,5 litre low pressure turbo diesel engine available on the Base and Fleetside specifications. This engine provides 58 kW of power with 170 Nm of torque. The latest generation 2.5 litre D-TEQ engine is available on Base, Fleetside, and LE specification levels and produces 85 kW of power with maximum torque of 280 Nm available from a low 1800 r/min. The top engine in the new Isuzu KB range is the upgraded 3,0 litre D-TEQ engine that is offered on LX specification models and now has maximum power of 130 kW – up by 10 kW – with 380 Nm of torque. That’s good. We hope to test the KB soon and will then give a full description and evaluation.